Nike "True Colors – USA Track & Field"
Ahhh, Memorial Day. The beer will be flowing, the burgers and hot dogs will be going on the grill, most of us won’t be working, and we’ll all be looking forward to the summer ahead. You can also count on more than a few people sporting an American flag somewhere on their person; whether it be a pin, a shirt, or a hat. There’s always the Old Navy $5 flag tee, available at Old Navy stores and online. 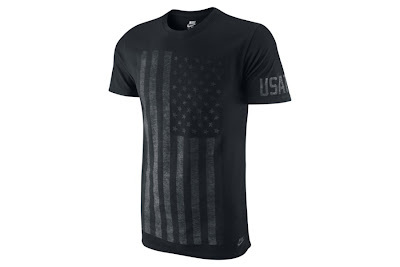 I think I’ll go with the Nike True Colors USA Track & Field t shirt instead. Available in both black and white, it has a classier feel to it. The burnout design reminds me of a battlefield flag that’s been weathered by more than just the elements. 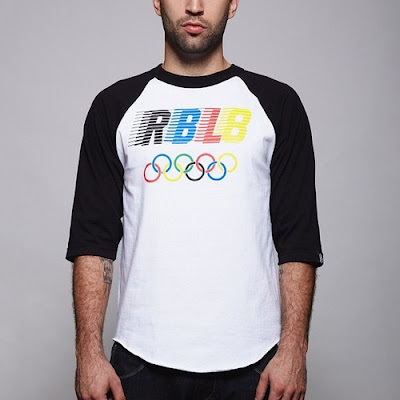 I also like the fit of Nike’s standard fit t shirts (I have a New York Mets one). Whatever you decide to wear on Memorial Day, try not forget the real reason for the holiday. Take a minute out of your day to remember those who gave their lives for our country.